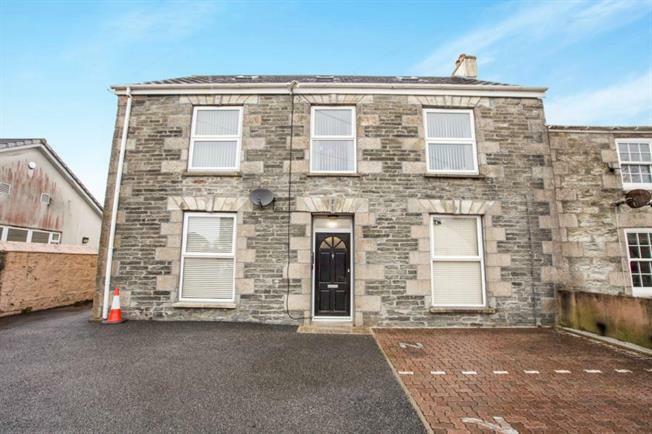 2 Bedroom Upper Floor Flat For Sale in Redruth for £119,000. Situated on a level walk to the town centre and town amenities is this deceptively spacious two bedroom apartment. With the benefit of a parking space, the property is very well presented and offers accommodation comprising an entrance hall, two bedrooms, shower room, open plan living accommodation with kitchen, dining area and lounge. The property has double glazing and electric heating. Doors to bedroom two, shower room and living room. A lovely light room with three double glazed windows to the front aspect. The kitchen area is fitted with wall and base units and work surfaces incorporating a stainless steel sink unit and drainer. Space for washing machine and fridge/freezer. Electric oven and hob with splash back and hood above. Extra work top dividing the dining area. Two electric wall panel heaters. From the lounge area there is a door leading to the mater bedroom. Double glazed window to the side. Electric wall panel heater. Fitted with a shower cubicle, wash hand basin with cupboard below, close coupled w.c. Heated towel rail and extractor fan. Double glazed window to the rear. Electric wall panel heater.